Styled Shoot at The Ranch in Laguna — The Lynden Lane Co.
Inspiration for photo shoots can come from something as simple as a beautiful piece of ribbon or china, to a gorgeous dress or venue. Our starting point for this beautiful shoot was the amazing venue at The Ranch in Laguna Beach. The first time we previewed the space, we felt as if we had stepped back into time to when entertaining was gracious, and people lingered over a fire after dinner. There was something of an American “Downtown Abbey” feel about the property. 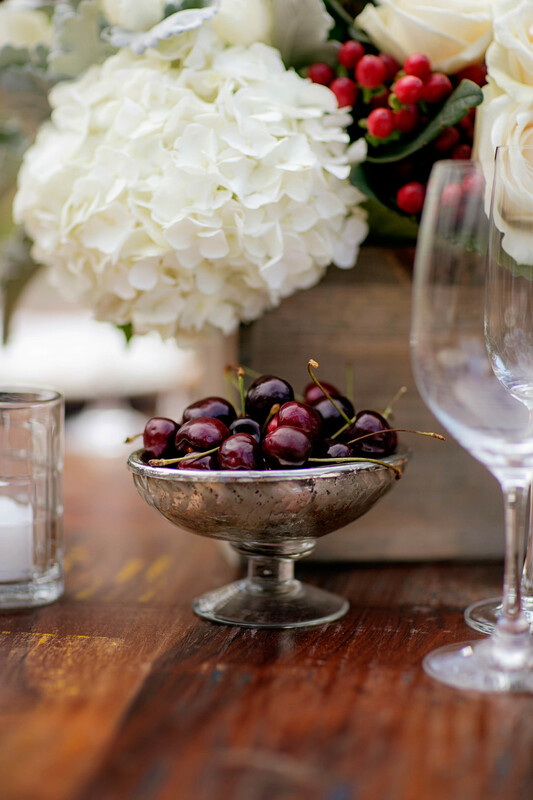 To style the shoot, we wanted an old-world feel while also wanting to make it feel current – something that a couple would use in planning an event for themselves. Those who know Barbi know that she has a love for most things blue and velvet, so when she first spied the blue velvet couch at Hire Elegance, she knew she had her muse for the shoot. The layering of velvet and linen created the backdrop for all of the vignettes. For the ceremony area, we wanted it to feel as if the furniture had been moved from the main house to create an intimate space for a couple to say their vows, with a few close friends as witnesses. 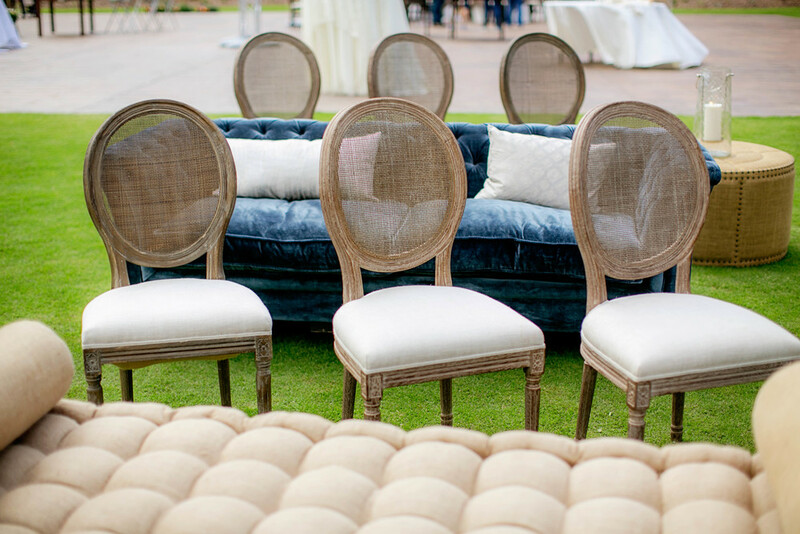 We anchored the ceremony with the blue sofas and then balanced them with wide, linen daybeds, which we intermixed with cane, back upholstered chairs. Rough-hewn burlap ottomans flanked the aisle along with cut crystal hurricane lamps. The mirrored altar table reflected the trees and the stream that flowed just beyond. The floral design featured topiaries in antique terra cotta pots, baby ferns, English ivy, aged mercury glass overflowing with David Austen garden roses and cut crystal candelabra. The dinner tables were set to reflect a late summer or early autumn feast. 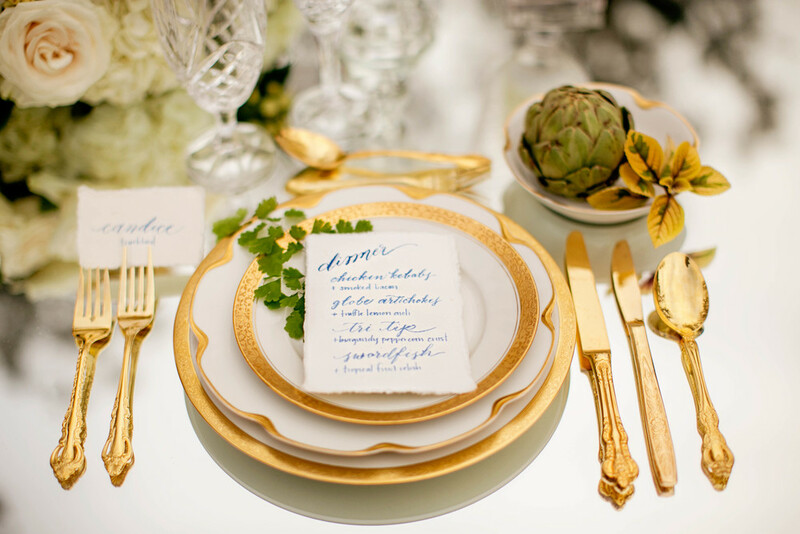 We introduced aged gold pieces of vintage china and flatware on the same-mirrored tables. Small, eclectic pieces of china with gold and blue were mixed on the table again to layer the look and experience. Hand-penned menus in French blue watercolors on the deckled edge were perfect accents on the place settings. 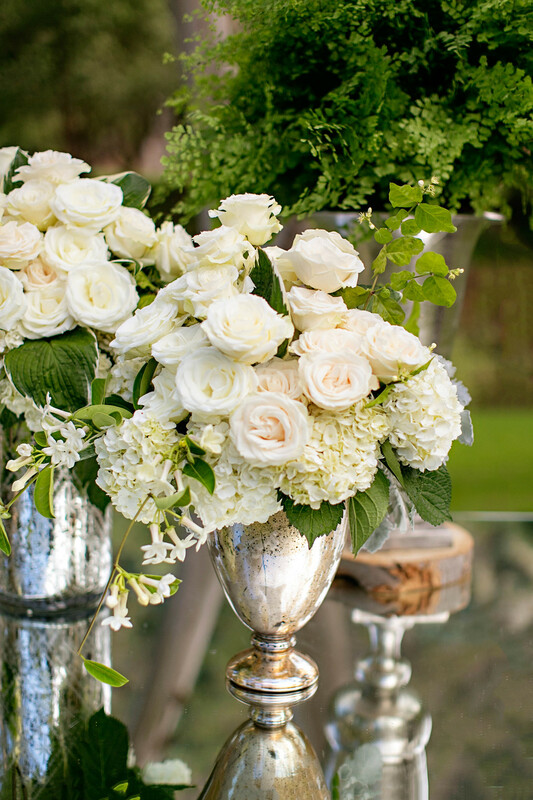 The florals on the table were a lush, low mixture of garden roses, dahlias, coffee berry, and golden foliage. The artichokes were one of our favorite organic touches. 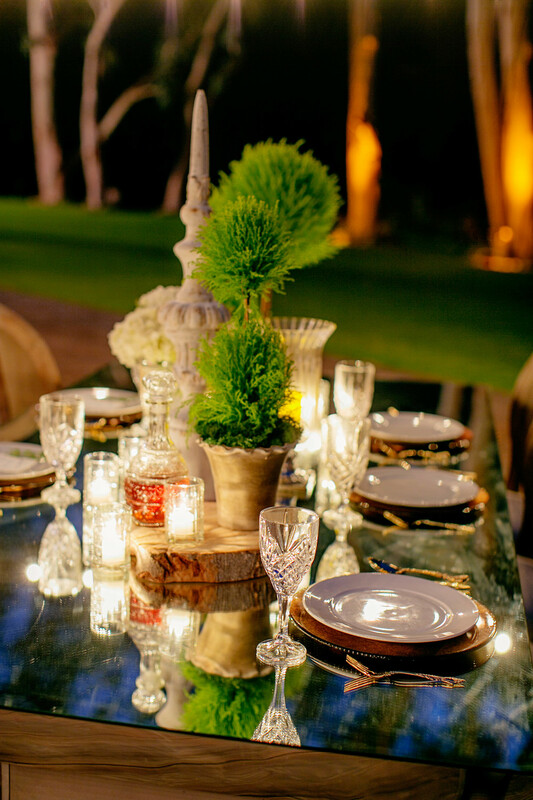 Again the cut crystal glasses and candle holders added to the richness of the setting. The sweet heart table featured a complimentary set of blue and gold vintage dishes with an antique crystal decanter, which added a nice contrast to lightness of the table. Now to our favorite part the brandy fire lounge. We all wanted to stay there and sip brandy into the wee hours of the morning. Towering eucalyptus trees, a roaring bon fire, cozy Irish knit throws to help keep the chill off, what wasn’t there to love. The burl wood cubes made perfect end tables and the crystal hurricanes helped light the evening. We believe that an event should not only be a look, but it must also be a feel. A great design is layered and dimensional, and that the tiniest detail is a reflection of the whole.